Space Systems/Loral (SS/L), announced in November 2011 that it has been chosen by Asia Satellite Telecommunications Company Limited (AsiaSat), Hong Kong, to build the AsiaSat 6 and AsiaSat 8 communications satellites. The satellite will carry 28 high-power C-band transponders and has a 15-year mission life. AsiaSat 6 will be compatible with a range of commercial launch vehicles. The spacecraft is based on Space Systems/Loral's SSL-1300 satellite bus. Satellite fleet operator Thaicom of Thailand has agreed in December 2011 to pay competitor AsiaSat of Hong Kong $171 million over 15 years for the use of one-half of an AsiaSat satellite to be placed in a Thai orbital position in an arrangement that will permit Thailand to preserve its rights to the slot Under the agreement, the AsiaSat 6 satellite will be 120° east longitude. Thaicom will have access to up to half of the satellite’s 28 C-band transponders and will pay AsiaSat $170 million in installments over the satellite’s 15-year life. The satellite will be renamed AsiaSat 6/Thaicom 7. 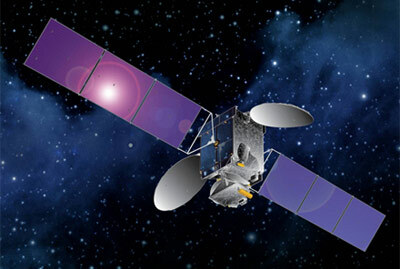 Before its launch, AsiaSat and Thaicom placed AsiaSat 2 as an interim satellite at 120° east to retain Thailand’s regulatory rights to the slot.